On May 9th, 2017, Qualcomm announced Snapdragon 630 and 660 Mobile Platforms for their Snapdragon 600 series. Though Snapdragon 630 isn’t as exciting as Snapdragon 660, yet there are some minor improvements in Memory Efficiency, GPU and Internet Modem. It uses the latest Adreno 508 GPU, dual-channel LPDDR4 RAM, Qualcomm X12 LTE Modem and Bluetooth 5.0. Also, it uses the new Quick Charge 4.0 technology. Sharp Aquos S2’s 4GB variant is one of the first devices to have this Processor. Other phones that have this Processor include the Nokia 7, Motorola Moto X4, and the Asus Zenfone 4 ZE554KL. Though these changes may not have a significant impact on the general performance, we can certainly expect better Gaming Performance and Faster Internet Speeds compared to its predecessors Snapdragon 625 and 626. As I’m writing this, there’s no device announced that uses this CPU. However, by the end of this year, we can expect more OEMs to upgrade to this SOC in their mid-budget segment smartphones. I strongly feel that Motorola Moto G6+ will use this Processor. Let’s now move on to the specification of this CPU. Just like its predecessor, Qualcomm has used the power efficient 14nm Fabrication. It is an Octa-Core CPU with 64-bit CPU Architecture. Well, here’s one more Processor from Snapdragon 600 series that uses 8 Cortex-A53 CPUs and hopefully the last one. I hope by next year, Qualcomm stops using this configuration in future CPUs from this series. 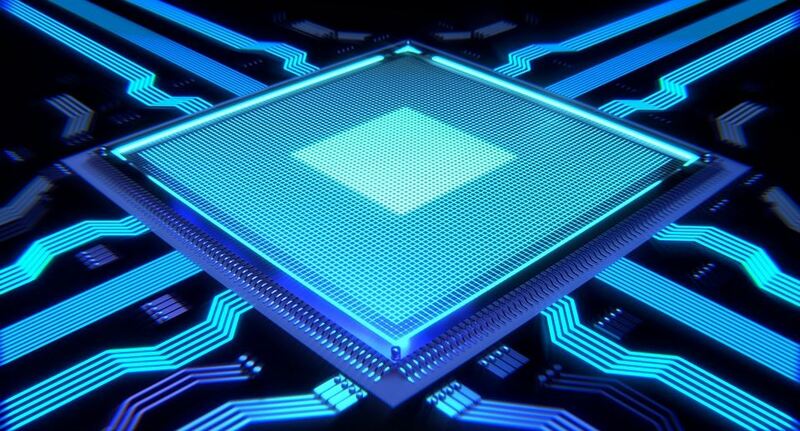 It uses the ARM’s big.LITTLE CPU architecture with four high power Cortex-A53 Cores clocked at 2.2GHz and the other four low-powered cores clocked at 1.8GHz. While doing regular tasks, the low-powered CPUs are used to save the battery and while gaming, high-powered CPU cores become active. Qualcomm Snapdragon 630 uses the new Adreno 508 GPU. As per Qualcomm, it is 30% faster in rendering as compared to the previous generation Adreno 506. It supports a maximum resolution of up to 1920×1200. Adreno 506 was already good enough for gaming, and now we should expect even better frame rates in Full HD Gaming. Coming to the Modem, it has the new X12 LTE Modem which is twice as fast the X9 LTE Modem of Snapdragon 625/626/653. It supports a maximum download speed of up to 600 Megabits per second. They have also switched the memory technology to Dual Channel LPDDR4 from single-channel LPDDR3. Qualcomm has also introduced the Spectra ISP for the first time in their Snapdragon 600 series. The Spectra 160 ISP should improve the image quality. Also, it has support for the new Bluetooth 5.0. Lastly, it has the Hexagon 642 Digital Signal Processor. As this Processor has the same core configuration as Snapdragon 625, the performance will be similar. Though the Antutu score is higher due to a better GPU and faster Memory. On Antutu and GeekBench, it scores higher than 625 and lower than Snapdragon 650. We will add more benchmark scores in this post once the manufacturers begin to use this SOC in their upcoming mobile phones. Here’s the Antutu score of Sharp Aquos S2 4GB RAM variant. It gets close to 70k on Antutu. As expected, the geek Bench Score of Snapdragon 630 is just a little higher than that of 625. After the announcement of Snapdragon 660 and 630, I was way too excited to look at the specs. The specs of Snapdragon 660 were overwhelming, but at first, I was rather disappointed with Snapdragon 630. Starting from Snapdragon 610, 615, 616, 617, 625, 626 and now 630, they use the same CPU cores and which is ARM Cortex-A53. It’s not like Cortex-A53 cores are bad, but they are way too old now, it’s almost 4-year-old technology. I was not expecting something like Kryo 260 cores of Snapdragon 660, but at least it should have used the faster Cortex-A72 cores like the Snapdragon 650, 652 and 653. Nevertheless, Cortex-A53 can still carry out every job on an Android device. It won’t lag for sure. Also, you should note that the BIG cluster is clocked at a frequency of 2.2GHz which is higher than its predecessor. So this will improve the performance. Also, not to forget that it uses Dual-channel LPDDR4 RAM and a much better GPU. Gaming performance and Multitasking should be great on the phone based on this processor. Now moving on to other features, it is equipped with the faster X12 LTE Modem and Bluetooth 5.0. As always, the 14nm FinFET manufacturing process is great for battery life. 14nm FinFET Process will ensure that the smartphone won’t heat and will utilize much less power. Even though Quickcharge 4.0 technology is supported, I highly doubt if any brand uses it in a non-flagship device. Summing up, it will be a better choice to go with an SD 630 device rather than 625/626 one. But yes, Snapdragon 660 is on a different level due to its more powerful cores. In the end, I would like to say that it’s a pretty good Processor just like Snapdragon 625. However, if you’re someone who needs an even faster processor and scores in benchmarks like crazy, then Snapdragon 660 is the one for you. If you would like to know the difference between Snapdragon 820 and 625, then check it out. Lastly, I would like to say that the SOC of a smartphone is the most important yet not the only feature you need to worry about. Before buying, it is necessary to compare every single specification. Also, you shouldn’t miss watching reviews from Tech Experts on Youtube. If you need suggestions, you can also ask me by commenting below. That’s it folks for this review. Do subscribe us for more Reviews and Comparisons of Processors, Graphics Cards and Mobile Phones.